Special carbide tip has low wear, high life expectancy, and improved resistance to damage when hitting rebar. Aggressive carbide cutting edge provides rapid penetration and makes Aggressive carbide cutting edge provides rapid penetration and makes drilling possible even through hard aggregate. Centering point on tip reduces bit “walking"". 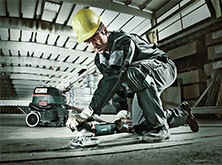 30% more holes per charge when used with cordless impact drills. 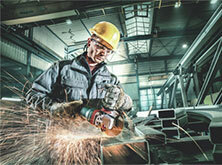 Premium alloy steel construction maximizes life expectancy.